Club Penguin Cheats by Mimo777 Club Penguin Cheats by Mimo777: Catalog Launch Dates in July! With the Monsters University Takeover still going, Club Penguin decided to switch up the dates of the catalogs this month. ​Also, here's a quick little sneak peek of some items you can look forward to! Hey mimo, what's that red flashing dot on the horizon? You can see it through the telescope, and I'm just wondering what it is?? Is the blonde penguin weaing a lime green Bikini!?! 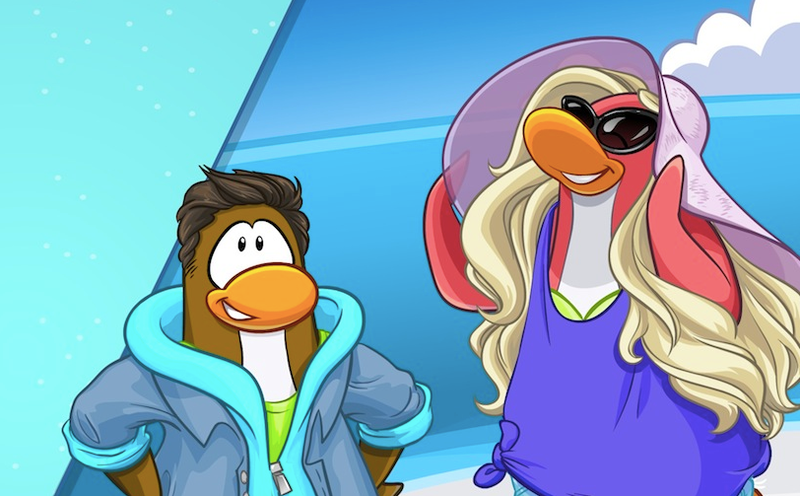 That's weird clothing for CP. Looks like they are finally bringing back the floppy hat? so now cp is gonna sell bras in their catalog?